Mitchell and Tian are a recently relocated Australian couple who have been attending Upside Motion for just upwards of a year. While the man is the advisory manager from Ernst and Young, the woman is the loyalty marketing manager of Intercontinental Hotels Group. They are a goal-driven couple with a lot of ambition and determination. 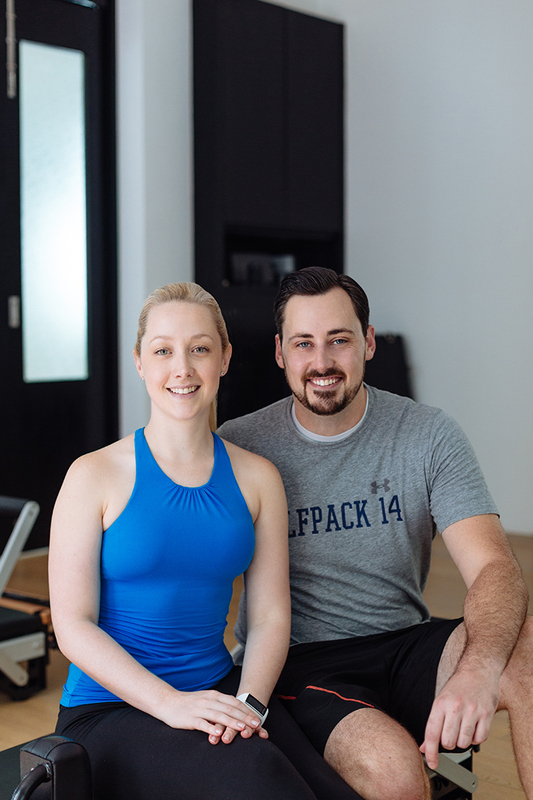 To celebrate Valentine’s day, let’s get to know about this power couple’s fitness routine and how they manage a healthy lifestyle together in Singapore. UM: Hi Tian and Mitchell, thanks for taking the time to do this profile, so to start with, how did you guys met? UM: When did you start working out at Upside Motion? T: I started only 2 months after I moved here. 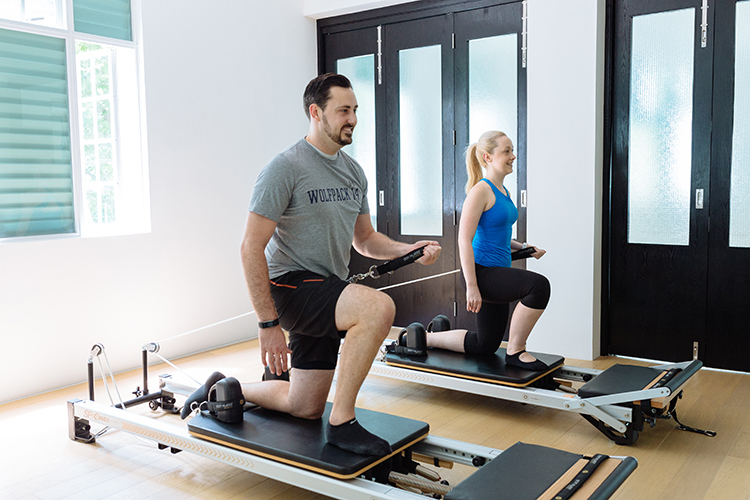 I wanted to try the Xtend Barre classes in Sydney. But I was doing a lot of travelling for work so when I moved over here, I tried to look for a few studios that did it. That’s how I found Upside Motion. I’ve been doing since about June last year. After about 3 months I started bringing him along. M: Since I got here for 12 months, without playing any sport, I’ve sort of been trying to find something though I didn’t know what it was. I’ve been whinging about how I can’t find something. I’ve taken up boxing, which has been great. But Upside Motion is another thing altogether. I’m literally back to basics, from the lowest of low sort of starts. It’s really been challenging me. She doesn’t have to drag me out here very much anymore, I’m pretty keen about it. UM: (To Tian) Have you tried our Xtend Barre classes? T: I actually started doing Xtend Barre this year in January. I grew up doing Ballet. I did Ballet for 18 years. I wanted to try the Xtend Barre class to compare what it’s like to actual Ballet. UM: How do you feel about the difference? T: I think there’s a lot of repetition in Xtend Barre. Most exercises tend to go on for about 5, 10, 15 mins. Whereas in Ballet you would do 30 secs of one exercise, then break. I find that endurance in Xtend Barre matters a lot more. The class is tough, it’s definitely a good workout. 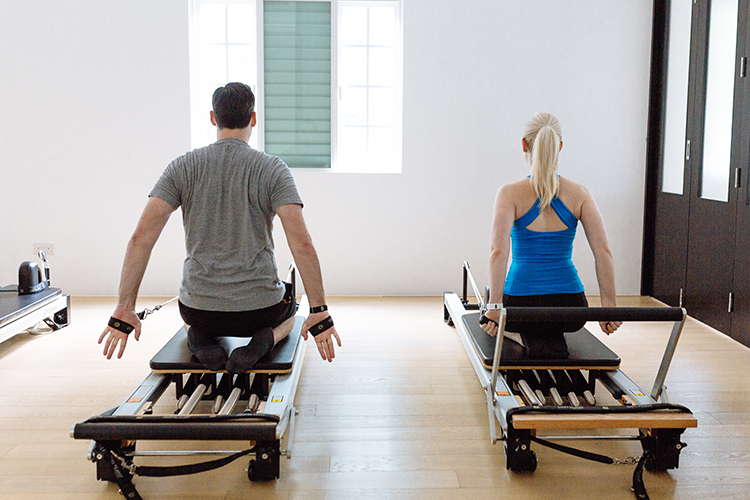 UM: How is your experience with Private Reformer at Upside Motion? T: We had never done it before. It’s a good full-body workout. I think when you first see the machines for the first time, you think there will only be a few exercises you could do with it. But actually the machine is really versatile. M: It’s different for me, I didn’t know what to expect. I used to play football back in Australia, so when I first went I told her not to worry, I’ll be fine. Then I was really surprised with the control. I struggled big time with some very simple exercises. It was a bit of a rude awakening to some potentially some gaps in my fitness. But no, it was good, I think it’s the slow-controlled movements and techniques that I’m getting benefit out of. Originally I thought, I was doing core, but after the first lesson I felt like my whole body was nice and strong. I’m really enjoying it. UM: Do you guys keep track of your fitness trends? 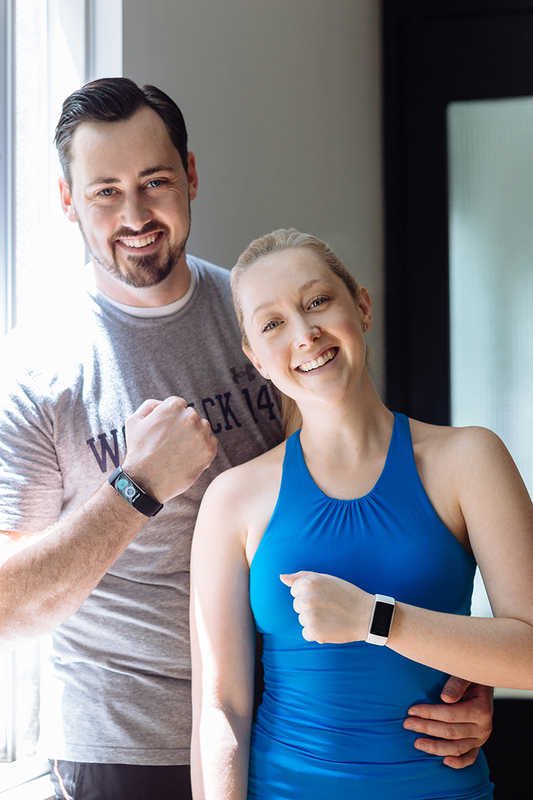 M: Yeah we’re now caught up with activity trackers, the little fitbits. We really got hooked in all these tech tools. I keep an eye on the crossfit or HIIT training. UM: So you guys started using wristbands. M: It’s addictive! We both have a Polar A360. T: I’ve had heart rate monitors before, when I exercised, that was like 2-3 years ago, and then I had just a fitness tracker, and it just counted my steps and calories, but this kind of combines everything in one, and I love the fact that it actually vibrates, because we both have office jobs, so it’s quite easy to sit down 4 hours at a time, but it actually buzzes and tells u it’s time to move, get up and start moving. So I like that aspect of it. UM: Great, so since it’s Valentine’s Day, we want to find more about you guys as a couple: here’s a couple of fun questions. M: Organized, Motivated, and Fun. T: I’d say Funny, Loyal, Driven! UM: What inspires your partner? M: I think it’s achievement, quite driven, motivation and ticking things off and getting things done. Achievement in work, fitness, health. T: I think we’re really similar in that regard, very driven to excel, I think we’re very understanding that regard. Mitch has to travel a lot for work, and I’ve always been supportive of that case, and then I actually left him for 18 months and then moved away for work, he was very supportive of that as well. UM: Do you guys cook together? M: We take turns, it depends who’s in the right mood? It also depends who gets home from work first as well. UM: The superstar ingredients and cuisines you guys go for? M: We use carrots, celery, mixed peppers, capcicum. Chilli not so much but we’re getting better. I think everything we cook generally has those base vegetables in there. I’m into a bit of Thai cooking at the moment, so different sorts of stir fry, things with coriander, all sorts of different flavours. Just trying different things. T: We eat a lot of Mexican, which is good. UM: What was the most exciting thing that happened last year? Both: We moved to Singapore!